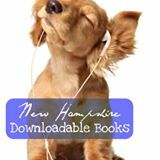 There's still time for kids and teens to vote for the winners of NH book awards- The Great Stone Face for younger kids, the Isinglass for middle school, and the Flume for teenagers. Stop by the Children's and YA rooms upstairs to vote! New Hampshire history is uniquely on display along the highways of the Granite State. The New Hampshire roadside historical markers commemorate significant events and individuals from the first settlers arriving in 1623 to notable individuals who helped define what New Hampshire is today. Michael Bruno will share interesting stories and facts about markers throughout the state, with a focus on local markers. Mondays, Wednesdays, and Thursdays 10-2, and then Tuesday evenings 4-8. We are excited to announce that the Brookline Public Library will be open Saturdays during the summer. Click the image at the right for Saturday information. Introducing Two New Book Clubs at BPL! Click on the photos for more information about each group. It is incredibly easy and convenient to use. Download the app, enter your Library account log-in information once, and have access to your Library on your phone! Click on the photo above to see more photos from the RMMS field trips to the Brookline Public Library. Brookline Public Library is calling on all Players! Cribbage & Mahjong groups meets every Monday at 10:00 am. Contact Julie at the Library. Everyone welcome. Contact Julie at 673-3330 with questions or to indicate what game you are interested in. Our Mah Jong group is up and running. We have enough players for 2 groups, and more are welcome! Check out Brookline Public Library's newest Little Free Library, right in front of our building! Take a book, leave a book. Enjoy! Thank you Julie and David Spokane for the generous donation of our 2nd Little Free Library. It joins our 1st, located at the Brookline Ball Field on Frances Drive, just beyond the concession stand and batting cages. Thank you to the Library Trustees, especially Karen Jew, The Recreation Commission, and Brookline resident Jack Fallon, who built the 1st Library in honor of his Father. A free service, legal documents tailored for New Hampshire users. Click on the icon to go to the NuWav website. Museum of Science passes now available. Thank you to the Friends of the Brookline Public Library! Click on the icon to go to our museum pass page. This is an amazing resource! Get full-text magazine and newspaper articles online...discover a new favorite author on NoveList...there's so much to find! Like us and follow us!!! Check our Facebook page and Twitter and Instagram feeds regularly for news and updates, and details of upcoming programs! The next Board meeting at the Brookline Library will be held on Wednesday, April 3rd at 7:30pm. Regular meetings of the Library Board of Trustees are generally held on the first Wednesday of each month at 7:30 pm. Any changes to this schedule will be posted here, at the Library and at the Post Office at least 24 hours in advance of any meeting. Click here to see Trustee meeting minutes. 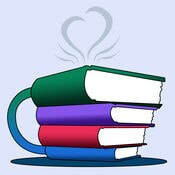 Next meeting of the Friends of the Brookline Public Library- Wednesday, April 10th, 7:30 pm. Regular meetings of the Friends are generally held on the second Wednesday of each month at 7:30pm. There are no meetings scheduled for July, August or December. A 501(c)(3) organization, the Friends supplement the official Library budget by providing funds for museum passes, helping to pay for the Summer Reading Program, and providing various other programs or purchases. Primary fundraisers are Book & Bake sales in the spring and fall, and a sweets table at the Christmas Tree Lighting in early December. For further information please contact Dona Eaton, 673-7526 or donageaton@gmail.com or inquire at the library.